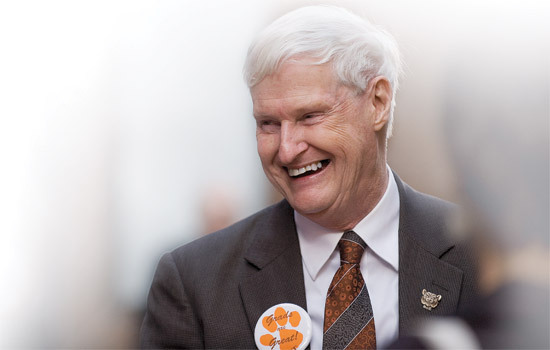 Bill Destler is entering his third academic year as RIT president. Chief Communications Officer Bob Finnerty interviewed the president on his top priorities for 2009-2010. Question: What are your top goals and aspirations for the coming academic year? Answer: Working with students, faculty, staff and the Board of Trustees, we have come up with a detailed strategic plan with associated goals in a number of key areas. These areas include student success, enhancing opportunities for students to participate in innovation, creativity, research, and scholarship during their tenure at RIT, achieving organizational/operational excellence, and achieving the highest level of stakeholder satisfaction. It is our belief that if these goals are achieved over the next five years, RIT will move into the ranks of the nation’s finest private universities. Our first priority during the coming academic year will be to work toward those goals. Q: What do you hope to see come from the new Center for Student Innovation in the first year? A: The Center for Student Innovation will support cross-disciplinary team projects in which RIT’s unique blend of right-brain and left-brain students and faculty can work on innovative ideas for new products, services and businesses. The best of these projects will be quickly moved into our entrepreneurship program and subsequently into our business incubator if they prove to be promising new business opportunities. Q: What is the general economic health of the university? How is the endowment? A: The general economic health of the university is fine, although the endowment has lost about 20 percent of its value in the recent period of market declines. ($670 million, July 2008 to $536 million, July 2009) Careful management of other revenue sources and effective controls on expenditures have been instrumental in navigating these uncharted financial waters. Q: Do you think we have weathered the storm? A: We are all hoping that the worst is over, but, even if that is true, we will have to endure many more months before the U.S. and global economies are really healthy again. For that reason, continued prudence in our daily operations will be the name of the game for some time to come. Q: Are you pleased with the projected new enrollment picture? A: Enrollment at RIT continues to grow and is currently at an all-time high. In addition, the quality of students attending RIT has been steadily increasing over the last two years at the same time the diversity of our student, faculty and staff populations has also been rising. These are indicators of a university on a distinctly positive upward trajectory. Q: How will Global Village change RIT? A: Global Village will provide much-needed student housing and a west side campus gathering place to include restaurants, shops, student services and recreational facilities, including a small ice skating rink. All facilities will have a global theme reflecting the increasingly international RIT student body and the expansion of RIT’s educational programs to overseas locations such as Croatia, the Dominican Republic, Dubai and Kosovo. Q: Talk about your expectations in the research arena. A: RIT’s research programs continue to grow, with current annual funding from federal, state and corporate sources at almost $60 million. But at RIT, research is conducted almost entirely in the context of undergraduate and graduate education. Our growing research programs provide increasing numbers of opportunities for our students to get involved in cutting-edge research, and they also maintain the currency of our faculty and staff at very high levels. Q: What factoids/stories about RIT do you share with alumni when you are on the road? A: Mostly, I try to convey to them what their alma mater has become and to engender excitement and pride in their association with RIT. RIT has changed so rapidly that many of our alumni would hardly recognize their university today. So I try to give them a sense of the institution as it currently exists and to encourage them to come back to campus to visit and get involved as active alums. Q: What receives the most response? A: When I tell them that RIT is now one of the largest private universities in the nation, and now has more undergraduates than Syracuse or Cornell, they stare at me in disbelief. And when I tell them that this growth has been accomplished without sacrificing our commitment to individual students, they respond with real pride. Q: You have been here two full years. What are you most surprised about? A: What has surprised me the most is the special nature of RIT and the fact that it is not better known given its unique blend of right-brain and left-brain people and programs. When I tell others about RIT, they are usually astonished to hear of all that goes on at the university, and all of us associated with RIT need to help get the message out of what RIT has become nationally and internationally. Q: What are you most proud of? A: I am mostly just proud to be asked to lead this extraordinary university, and to do what I can to build on the legacy of previous presidents here in Rochester. I did not create the special blend of intellectual resources and programs that RIT offers, but I have tried to communicate the potential that these assets have to make RIT a real “Innovation University.” This seems to me to be the logical next step for the institution. Q: What would you like to add that we have not covered? A: I would like to express my personal gratitude for the support I have received from RIT faculty, staff, students, trustees and alumni over the past two years. Working together, I am more confident than ever that RIT’s best days are yet to come.